Have you ever enjoyed a particularly wonderful cannabis experience and wondered “Why is this so much better than last time?” Well, one high-tech startup will help you answer that question and you don’t have to have a degree in chemistry. Cannabinder, a Seattle-based technology startup launched its flagship product, an app that makes it simple for cannabis consumers to understand and compare products in a store or online. 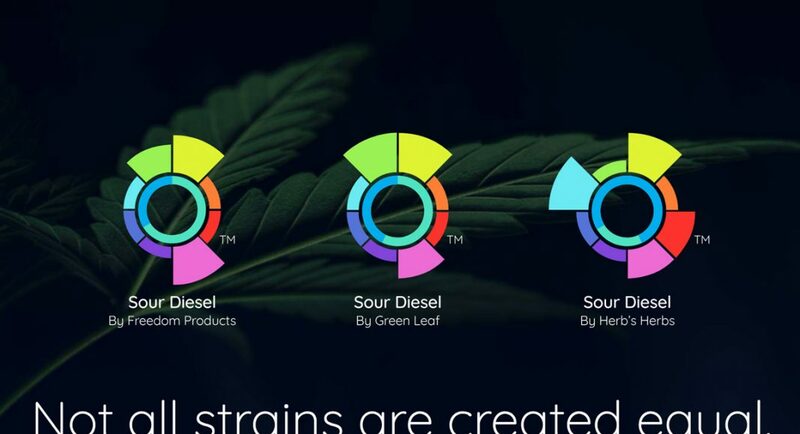 The revolutionary app leverages cannabis product chemical data to create individual profiles and turn them into an intuitive and unique graph, called the Cannastamp. “When it comes to understanding your cannabis experience, it’s all about whole plants chemistry. The Cannastamp provides a quick way understand this without a chemistry degree. The Cannabinder app does the heavy lifting and puts it to use with reliable product recommendations,” said CEO Tom Heller. Heller believes the cannabis industry is in dire need of some standardization beyond THC and CBD content. Terpenes play a major role in how cannabis affects the user and Heller wanted to bring that to the forefront and create an easy way to understand the complex chemistry of cannabis. Related Story: Why Are Cannabis Terpenes So Very Important? Heller said he wanted to create something that brings real value to every cannabis user. He knew it needed to be simple to understand, but have enough depth to it to be intriguing to someone with more knowledge to pursue. Cannabinder announced the launch of its beta product with Heylo Cannabis Extracts, Confidence Labs. 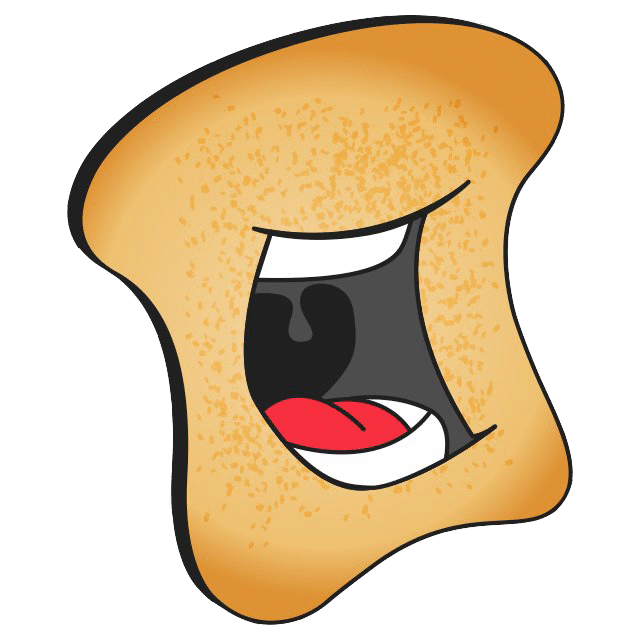 When you visit Cannabinder.com, you can use the app to search various strains and find chemically similar cannabis products making it easy to explore new products with confidence. 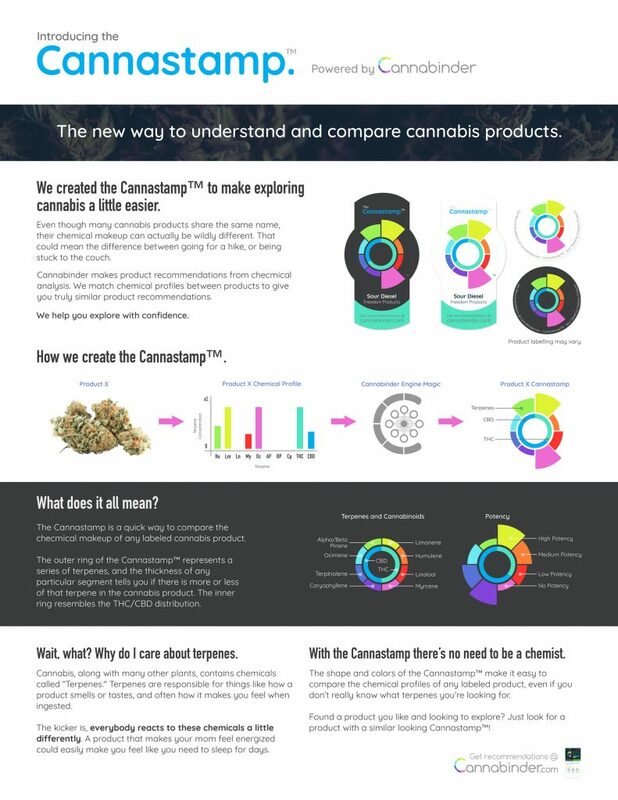 Soon Cannabinder will be releasing its namesake feature, allowing users to create an account and add Cannastamps to their binder and rate them to get truly personalized cannabis product recommendations. Cannabis strain names are nearly impossible to follow and often are not a good indicator of what the product actually is. Even more troubling, there is no oversight on naming cannabis products, so consumers never truly know what they are getting. But with Cannabinder’s help, consumers will have an easy way to track what works best for them. According to Heller, the beta release will be available in the Seattle area first before branching out to all legal cannabis markets.